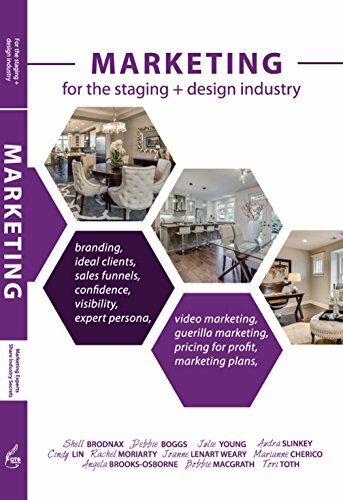 Home staging is all about allowing prospective buyers to envision themselves living in a home. That’s what gets top-dollar offers on a home and helps it to sell quickly. And it works. 40 percent of buyers were more willing to go visit a staged property they found online. 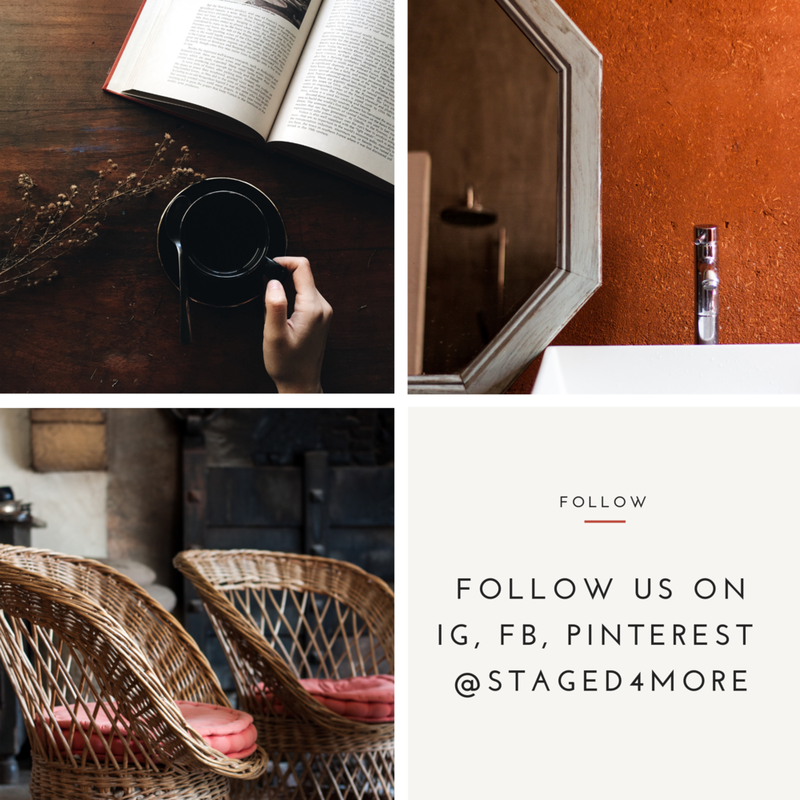 A whopping 77 percent of buyers were able to see themselves living a staged home, and about a third of buyers increased their offers 1-5 percent on staged listings. A great place to start staging a home is with a clean canvas. Cleaning and decluttering are the first steps, and after that, one of the fastest, most effective (and cheapest) things stagers can do is paint. In fact, a study by Consumer Reports found that painting the interior of a home can yield an increased value of 1-3 percent, and painting the exterior can increase the value by 2-5 percent. But that leads to the ever-popular and much-pondered question: What color should you paint? Don’t worry, we’ve got you covered. 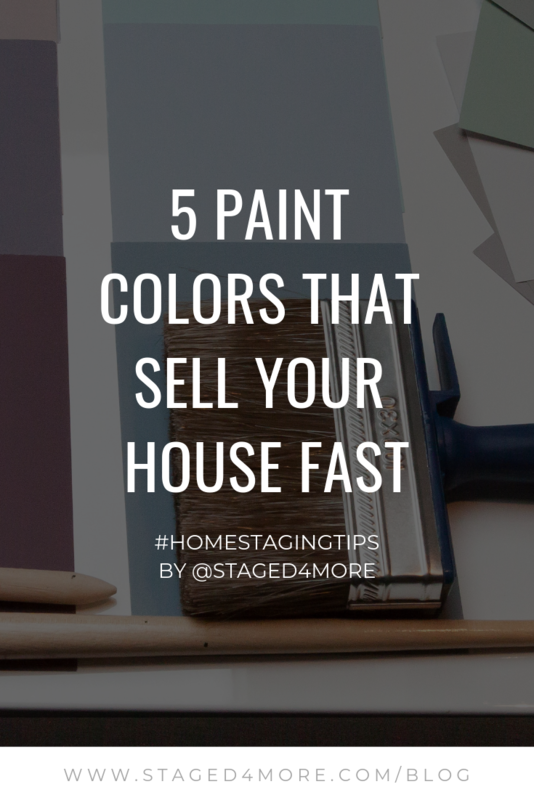 Whether you’re a stager, a real estate agent, a seller or a for-sale-by-owner, we’ll share the best colors to bring in top-dollar offers with a few simple staging tips for first-timers sprinkled in as well as advice on how to find a painter. Think Pantone’s 2018 Color of the Year, Ultra Violet, Benjamin Moore’s Blue Lake, or Sherwin-Williams’ Decisive Yellow. Bold front doors are all the rage. When potential home buyers pull up to the curb, the first thing they see and decide whether or not they like, is the home’s exterior — that’s why it’s called curb appeal. So you want to make sure the front door pops, and one of the best ways to do that is to paint it a bold color. When staging a home’s interior, think about starting with the living room because the NAR study I mentioned above also found that, in the buyers’ opinions, staging the living room was most important (55 percent) followed by the master bedroom (51 percent) and then the kitchen (41 percent). When choosing a color for the living room, you want to think cozy. There’s a lot of buzz around gray for home interiors, but some studies show, it’s not necessarily the best color for the living room. A study from Gil and Bigot looked at the relationship and emotional impact among green, pink, white, and gray. The study found that gray is linked more with sadness, negativity, and unattractiveness than other colors. White and beige are better options because people prefer to concentrate in rooms with those hues, and both men and women find it least distracting. So when thinking about what color to paint the room where people spend the most time in a home, thing white or beige. Look into Behr’s Quiet Time or Benjamin Moore’s Classic Gray, and for pops of color, check out Consumer Report’s list of the hottest interior paint colors. Cool colors are the way to go when it comes to the master bedroom. “Blues, grays, whites, and greiges (gray-beige) are all in right now,” says top real estate agent Maribel Sotuyo of Houston, Texas. They pair nicely with crisp white linens and leave plenty of room for accent colors. A nice eggshell finish will help pick up the natural light in the room, recommends by Stephanie Mitchell of SF Gate. Be sure to use a complementary color palette and add pops of color where you can. Shoot for a bedding set that’s not gender-biased. Try hanging the drapes a little higher to give the illusion of height in the bedroom. Add plants, vases, wall art, and strategically-placed lamps for warmth. Check out Benjamin Moore’s Mountain Peak White and the company’s advanced interior paint for cabinetry in a white-ish satin finish. Kitchens are often the epicenters of homes. HomeLight spoke with Karen Parziale, professional stager and owner of The Real Estate Staging Studio in New Jersey, who recommends painting the walls a warm white to make the room feel bigger and the space look cleaner. 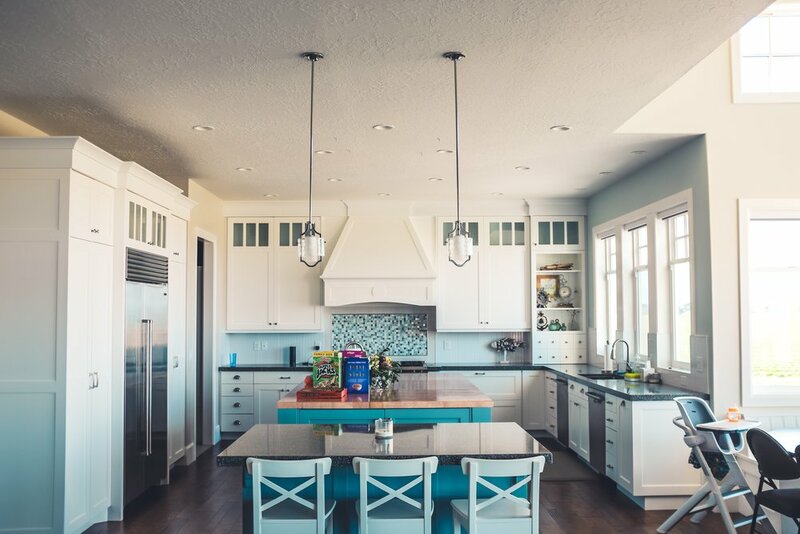 And if you’re looking to breathe a little life back into your cabinets, Benjamin Moore makes a primer as well as several levels of gloss to revamp cabinets. Try white in a satin finish. Satin gives a clean and polished look without shine, and it has a durable finish that can withstand cleaning after cleaning and the occasional kitchen mishap. 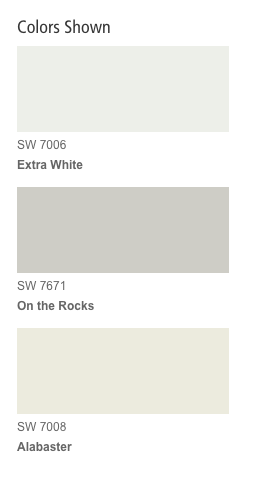 Focus on neutral color palettes such as these neutral palettes from Sherwin-Williams. A bathroom is a very personal space, and thus can be somewhat difficult to make appealing to everyone. But a simple trick that stagers employ is to think of it like a spa or a hotel bathroom. You’ll rarely see pops of color and tons of personality in a spa. Look into shades like these neutrals from Sherwin-Williams. When it comes time to paint, you have two options: paint it yourself or hire someone else to do it. When looking for a good painter, start by asking for recommendations from your friends and family in the area. If you’re working with a real estate agent, ask for a referral. Your agent will likely have a list of vetted house painters and will be able to speak to their work. You can also ask friends and family for referrals, and that way, you get to check out the painter’s work first-hand. If you can’t find a personal recommendation, look online. Use resources like Houzz, Angie’s List, Yelp, and Nextdoor to find a painter. What do you think about the paint colors mentioned here? Do you have any go-to colors that you just love? Add them in the Comment section below. Contributor's Bio: Dani Vanderboegh is a senior editor for Inman, a leading news source for real estate agents and brokers. She has a master’s degree in editing from the Missouri School of Journalism.